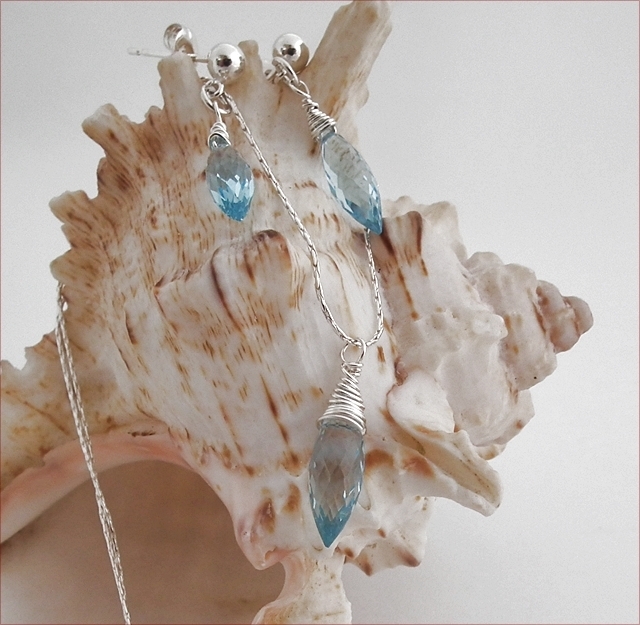 Three fabulous chandelier briolette drops of beautiful blue topaz gemstones have been used in this pretty pendant necklace and earrings set, each wire wrapped with sterling silver wire. The topaz is in an elongated teardrop shape, microfacetted for maximum sparkle! 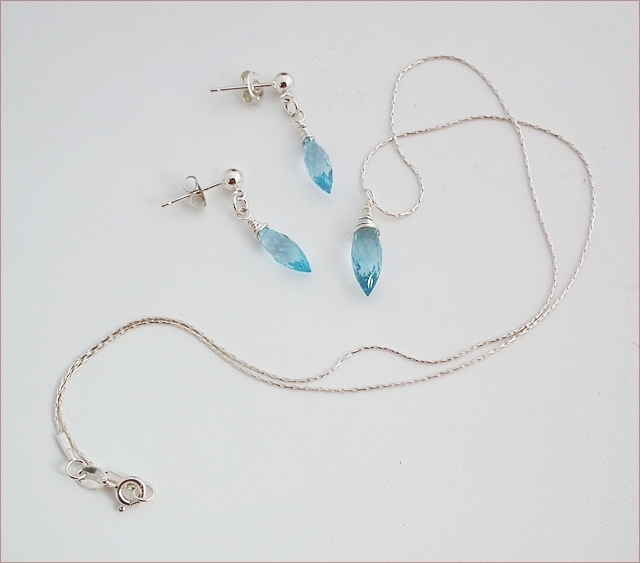 The pendant topaz is 12mm long, slightly shorter - 10mm - in the earrings. The chain and earring posts are all sterling silver. 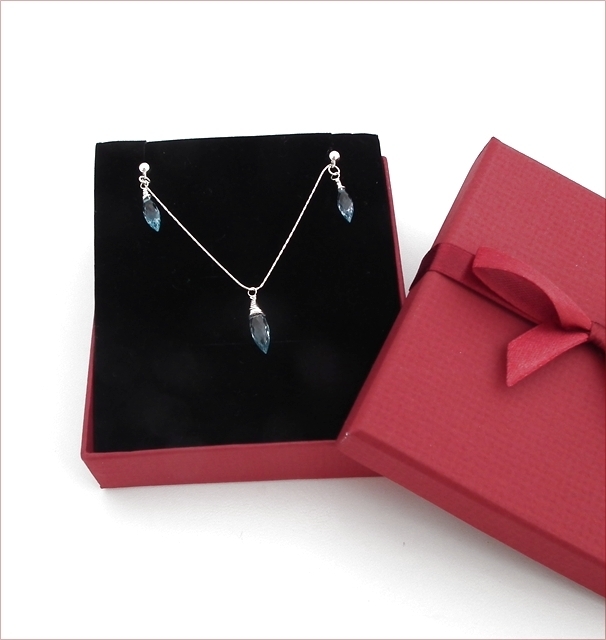 The necklace measures 17" (432mm) long, with a 15mm drop for the pendant. The sky blue topaz is graded AA+ and the price has tripled since I bought these a couple of years ago. (Sometimes it takes me a while to get around to making things!) 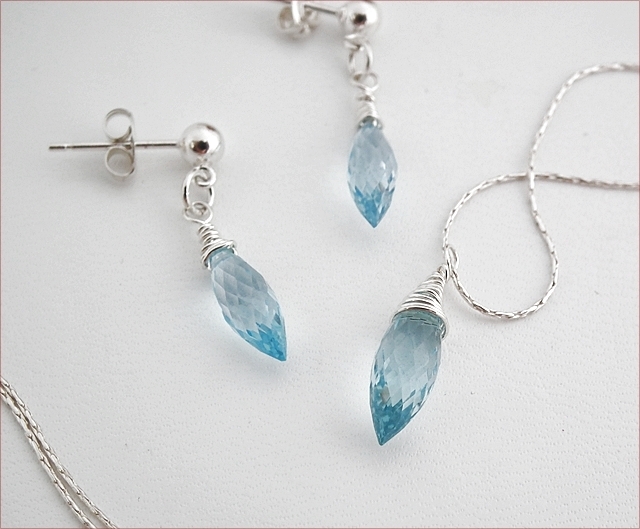 Get them while you can because the next piece I make with blue topaz will cost three times as much!